After two years of careful observation, note taking and lengthy consideration, of weighting pros versus cons, input versus output and budget versus dreams, here we are with 28 trees to plant in our fruit forest. The photo doesn’t do it justice – there are indeed 28 trees there. We bought them small for they stand a better chance to strike (and with the same budget we could get lots!). 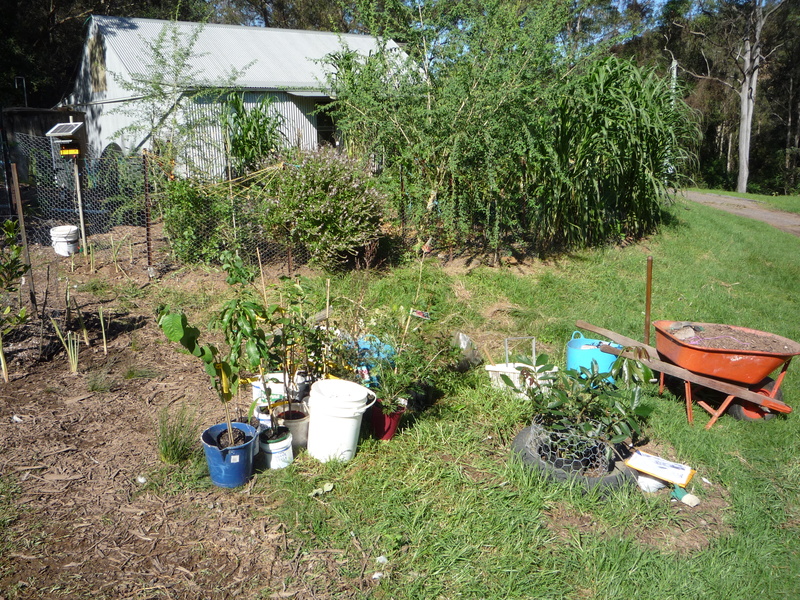 As of today, they’re now mostly all in the ground, all lovingly planted with their support species of bulbs, comfrey and insectary plants, topped with a good dose of chook poo and mulch. “Grow strong, Grow healthy, Grow shade and Grow food”. 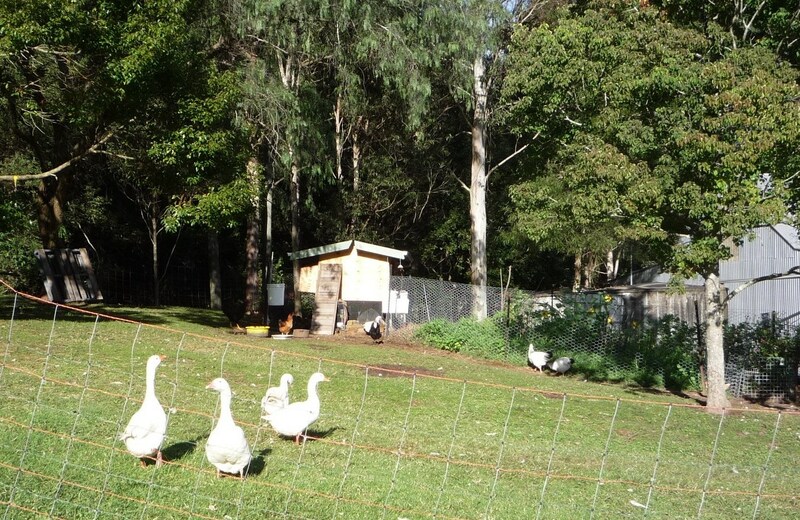 Geese, ducks and chooks have been fertilizing and sanitizing the area, for two years. I am now already dreaming of a Fruit Forest extension!